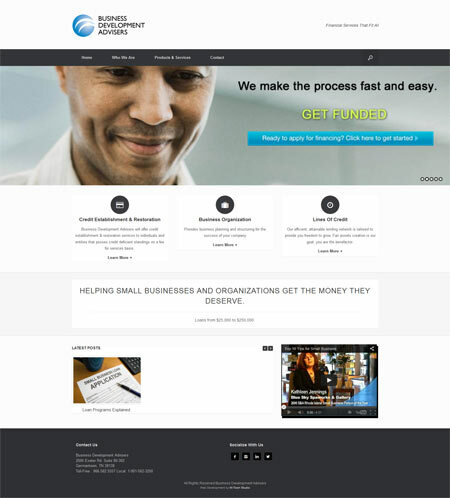 Business Development Advisers is a Memphis-based funding and investment company which offers a range of services including loans up to $250,000, credit establishment and restoration, business plan development and more. For Business Development Advisers, we implemented a clean and responsive website design with a focus on the services that they offer. The site is easy to navigate and provides a means to schedule appointments, submit inquiry for credit help and more.